Bubba McDonald was a cattle rancher who doted on his prize winning steer, Betsy. A freak accident with an experimental feed and a milking machine left them bonded at a molecular level. 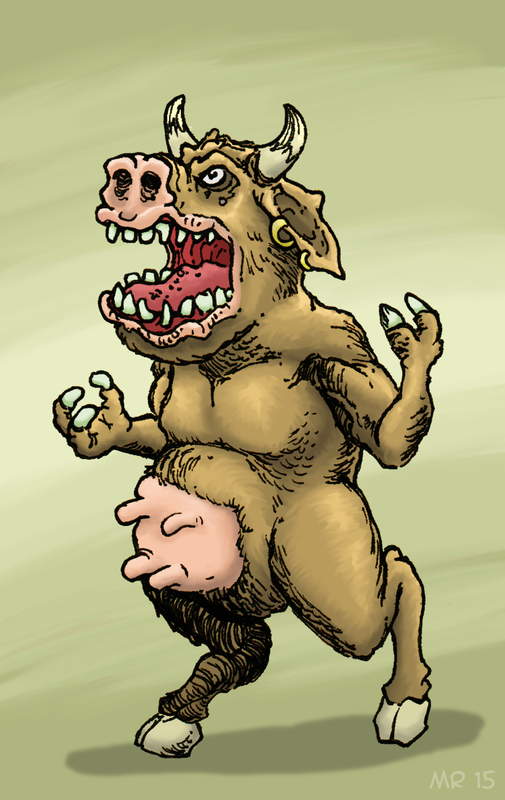 Driven horribly insane, the Moo Lord now roams the country side, causing terror in his wake.